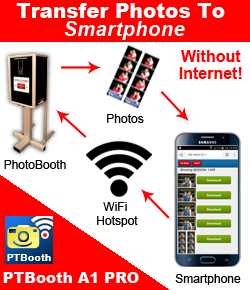 Welcome to the series of articles "How To Build A Photo Booth" written by the staff at Photo BoothExperts. PLEASE NOTE: This article was originally posted on 7/12/2012. Since its posting, there have been many updates and changes in technology. With more people in the photobooth business more than ever you have to separate yourself from your competition. As a result it should come as no surprise that the information available of how to build a photo booth is limited. It’s can be challenging to find people willing to share the nuances, hidden obstacles and solutions to problems that will help people to succeed in building a properly functioning photo booth. A new builder will have to do a tremendous amount of research trying to put together all the pieces of information available on the internet. We hope this article will help you to make sound decisions when it comes to buying and using your computer for your Photo Booth. Laptop, Desktop or All-in-One PC? Choosing the right computer boils down to the question of durability. Remember your photo booth computer will be transported constantly and will be more abused than your average computer that permanently sits on your desk. So durability and reliability of an extended period of time is what is most important. During our development we tried laptops, desktops and the All-in-One PC. We came to the conclusion that laptop computers are the way to go and below you will see the reasons why. 2. Laptops are smaller and light weight. 2. The number of ports needed to plug in your components such as camera, printer, etc. 3. Are there protective shipping cases available for the PC laptop that you are choosing. Which is better Intel or AMD Processors? When deciding which processor is better either Intel or AMD is a very debatable question? Both processors have the power to handle the job so this is really about your personal choice and which particular devices that you will be using. After our test runs with both we have found the Intel based laptop to be our choice. It just seemed to run smoother and performed better than the AMD processors. Again, this is only our opinion. How Powerful does the Photo Booth Computer needs to be? To handle all your components devices you need to have some computing power in your Processor speed and RAM. Although the photo booth software’s system requirements are not too demanding you have to keep in mind that there will be other factors involved that may drain your computing power. The computer must accommodate all your needs and ensure fast and smooth performance. For example, if your camera has over 12 megapixels and you would like to save all of the images at the highest resolution the image handling will require more processor and memory power than the camera with less than 12 megapixels. So the answer is clear the more powerful computer the better off you will be. After testing different laptops in our photo booths and using different configurations we decided to go with Toshiba laptops that have 2GB Ram and an Intel Celeron 900 GHz processor. Since 2009 we have had NO PROBLEMS with our Toshiba laptops. They have had their fair share of abuse but up until 2012 they worked like a charm every weekend. In 2012 we upgraded all our Photo Booths with new Toshiba Laptops and the old Laptops became our backup in each system. Our new upgraded Toshiba laptops have 4GB Ram and Core i3 processor. The price was $400.00 for the upgraded unit. Many changes have taken place with computer hardware since 2012. Most noticeably, many top computer brands have eliminated some very useful hardware from their current models. For instance, many of the new slim laptop computers have eliminated VGA ports and replaced them with HDMI ports. The absence of the VGA port makes it harder to use the laptop & touch screen combination because not all touch screen monitors support HDMI connections. You can overcome VGA absence by having HDMI to VGA adapter or Touchscreen monitor that supports HDMI connection. Also, the number of USB ports has been reduced in both All-in-One and Laptop computers. In our opinion, at least 3 USB ports is a must. There are tricks to overcome the lack of the USB ports. If your computer has a USB 3.0 port then it is possible to use USB 3.0 hub/port replicator. Please Note, only the USB 3.0 hub/port replicators that have their own power and internal microprocessors will work in this case. Another change is that the Microphone/Headphone combo jack is now a default option in almost all computers. This makes it challenging when you are using video recording (video booth).
. Separate USB port for the external Webcamera if you are using the traditional Canon camera for taking photos and a Webcamera for video recording. The Webcamera must have its own separate USB port. That makes it total of 3 dedicated USB ports. One for the Canon camera, a second for the Webcamera and a third for the Printer. If you are using a touch screen monitor connected to your laptop/pc then you will need a fourth USB port for touch screen functionality. As you can see, a minimum of four dedicated USB ports are required for the video booth functionality. Dedicated microphone jack. It is imperative that you have separate dedicated microphone jack if you want to record high quality audio with your video recording. We have not seen any differences in brands for one laptop to the next. The only exception is a reports that we received from our customers saying that the Lenovo laptops were having trouble communicating with certain brands of printers. In the end the laptop you choose should be a matter of personal taste and choice. TIP: A good indicator of which brands of laptops to avoid is to take a look at the store computer repair/return section and see what brands are being returned / repaired. In our case we have had great luck with the Toshiba laptops because of its reliability and performance. We are currently using them today. At the writing of this article we recommend Toshiba laptops for use in the Photo Booth applications. Laptops for the Photo Booth should be BRAND NEW! Think about it! Your business is going to be completely dependent on whether or not your computer is working. We have heard a lot of horror stories resulting from situations in which ignoring this rule caused all kind of problems (failure to launch the software, not recognizing devices, windows crashing, bad sectors on the hard drive) When buying new dedicated computer it means that you have reduced the chances of sudden failures. With an average 24 working hours per week your PC will retain a lot of juice for years to come. 1. DO NOT USE YOUR PHOTO BOOTH COMPUTER FOR ANYTHING ELSE BUT THE PHOTO BOOTH! That means no internet browsing, no games, use of others usb flash drives, no watching movies, YouTube, no installing other software etc. Keep your computer as clean as possible. Remember your business reputation is on the line! 2. CLEAN UP YOUR SYSTEM AND BACKUP YOUR HARD DRIVE. Even brand new PCs often come with LOTS of pre-installed software that can cause that new machine to come to a crawl. It's important to clean up your system before you install your photo booth software. You can either ask computer specialists or do it yourself using free tools such as PC Decrapifier (http://pcdecrapifier.com). This will help remove programs, unnecessary startup items and icons that can slow down your PC. After you have cleaned up your system and installed the photo booth software, all necessary drivers for your devices and tested the system you should immediately perform a SYSTEM BACKUP. It will protect you in case of you need to recover files during a system restore if needed. 3. HAVE A BACKUP COMPUTER. Accidents happen. It's always a good idea to have a backup laptop just in case you run into unexpected circumstances. Always have a back-up laptop. WE USE: Toshiba LAPTOP, Intel CORE i3, 4GB Ram, with VGA and 3 USB Ports. The 3 USB ports are used for our camera, printer, touch screen monitor. 1. DO NOT USE YOUR PHOTO BOOTH COMPUTER FOR ANYTHING ELSE BUT THE PHOTO BOOTH! 2. CLEAN UP YOUR SYSTEM, INSTALL PHOTO BOOTH SOFTWARE AND DRIVERS FOR ALL YOUR DEVICES. 3. BACKUP YOUR HARD DRIVE. 4. HAVE A BACKUP COMPUTER. 5. KEEP YOUR COMPUTER PROTECTED FROM FALLING, IN ROOM TEMPERATURE, DO NOT ALLOW WATER CONTACT, AND USE OTHER MEANS TO PROTECT THE HEART AND BRAIN OF YOUR PHOTO BOOTH.